Our buddy Dustin loves his fish tanks. And he is working on building a fish tank empire. 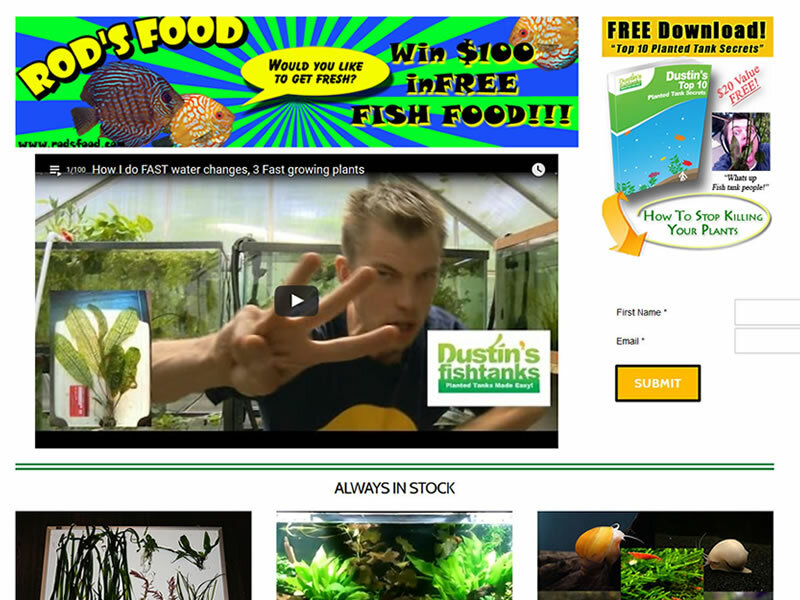 If you love fish tanks then you’ve probably found Dustin on YouTube already. You can find a lot more on Dustin’s Fishtanks. Guides, videos and aquarium plants. But, enough about that. We’ve been working with Dustin since 2010. He came to us wanting to combine some of his sites into one giant fish tank empire. So we hooked him up, pun intended. He already had a template picked out so we made it work for his needs. Slapped on an e-commerce solution and he is off and selling his heart out. In 2017, Dustin switched over his site to Shopify, but we still help Dustin on a regular basis.